A new nut! (Well, to most of us that are not from the Philippines, that is!) Our friends at Mount Mayon provided us with some samples of their Volcanic Pili Nuts, and the TrailblazerGirl team is hooked on them! They are absolutely delicious. Harvested from trees surrounding the Mount Mayon volcano in the Philippines, they are tear drop shaped with a soft texture and creamy, buttery richness like a macadamia nut. If you aren’t sold on taste alone, pili nuts are filled with magnesium, vitamin E, manganese, copper, fiber and protein and are low in carbs with only 3.8 gram per 1 ounce serving. The folks at Mount Mayon pre-sprout the nuts in purified mountain spring water in order to increase the bioavailability of their nutrients and enhance their digestibility by neutralizing enzyme inhibitors and phylic acid. They are very flavorful thanks to a 17 step process by which they are slow dried. Choose from Himalayan Pink Salt or Ecuadorian Cacao. 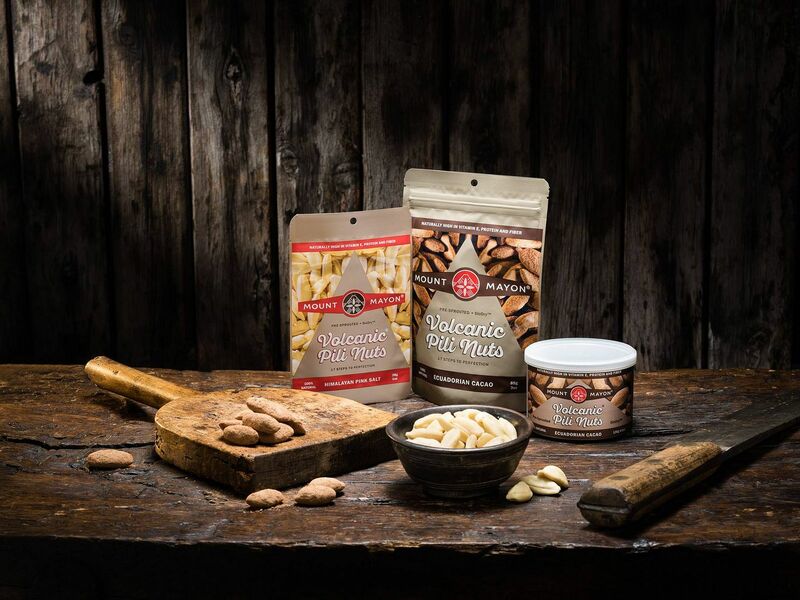 Mount Mayon Volcanic Pili Nuts are our new favorite, healthy snack!